Meet our executive team members who guide the innovation, development, and delivery of our industry leading solutions and services. David holds over 28 years of software development, financial services and management experience. As Chief Executive Officer, David leads the technology direction, product strategy, business development goals, and growth strategies for Insurance Technologies and its product offerings. Since becoming an originating team member of Insurance Technologies in 1996, David progressed his areas of responsibilities and provided essential leadership to Product Development, Product Management, Client Services, Sales and Marketing teams. Participating in the growth of Insurance Technologies from the ground up provides David the necessary experience to deliver cohesive software products and services tailored to world leading financial services companies. David's understanding of the internal complexities of life, annuity and other financial services products along with his steadily increased responsibilities and influential leadership, provide David the tools to lead Insurance Technologies and orchestrate the ongoing development of innovative sales automation solutions with partnership oriented customer service. Since joining Insurance Technologies in 1996, Tammy has been a significant team member in the company’s business operations and financial success. As Chief Operating Officer, Tammy provides leadership, management and the vision necessary to ensure that the company has the proper operational processes and controls, administrative and reporting procedures, and team resources to effectively grow the company and provide operational efficiency and excellence. Tammy’s leadership and management expand across an array of areas including Legal, Security, Network Services, Human Resources, and Facilities. In addition, Tammy is responsible for the Professional Services department, which includes Client Services, Engineering and Actuarial teams. Tammy oversees the leadership, organizational function and financial management of Professional Services, aligning the company’s strategic goals and commitment for client satisfaction and success. Tammy is an influential member of the Executive Management Team and her experience and management direction are instrumental in ensuring that the organizational and professional growth goals of Insurance Technologies and its corporate values are fundamentally present and encouraged. 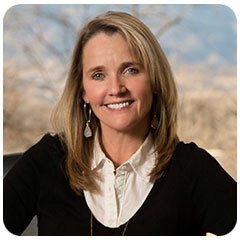 Tammy is an honors graduate from the University of Colorado with a Bachelor’s Degree in Psychology and holds a Master’s Degree in Organizational Management. Since joining Insurance Technologies in 1996, Ron has been a key chief architect in the design and development of Insurance Technologies products. In his role as Chief Technology Officer, Ron is responsible for the strategic technology decisions on all base product architecture, design, processes, and research and development. Ron leads the Product Development teams in the execution of base product development, ensuring it aligns with corporate short and long term strategies and objectives, compliance regulations, industry requirements and customer needs. Ron sets the direction for system technology and the development life cycle for all Insurance Technologies products. He also oversees application and infrastructure security and the technology of hosting environments. Prior to joining Insurance Technologies, Ron worked for Computing Information Systems as a Sr. Software Development Engineer, designing, developing and implementing custom Order Entry, Accounting, Inventory, and Billing systems for the publishing sector. Ron personally managed the design, development and implementation of over 10 large-scale implementations, including Mitchell International, National Oceanic and Aeronautical Administration (NOAA), Maxwell McMillan, University of Chicago Press, and lastly Shepard’s/McGraw-Hill. Ron holds a Bachelor of Science Degree in Computer Science from DeVry University, has completed several LOMA FLMI exams, and since 1999 has maintained a Microsoft MCPD certification or equivalent. With over 30 years of software industry experience and as one of the original ForeSight® illustration product architects, Jim possesses the process and technology prowess to direct the technology infrastructure and development of Insurance Technologies products. As Chief Architect, Jim works closely with the Chief Technology Officer, developing and documenting the overall architecture framework, infrastructure, technology requirements, and roadmap for product development. Jim oversees the architectural execution of product design, development, integration and deployment. As Chief Architect, Jim is responsible for the overall end-to-end development and implementation process of Insurance Technologies products, while ensuring products satisfy corporate defined objectives. Before becoming Chief Architect, Jim was Executive Vice President of Engineering, responsible for the overall technology vision and implementation of the ForeSight product. Prior to joining Insurance Technologies in 1996, Jim worked extensively in the insurance and legal industries providing him deep domain and technology expertise to manage the complexities required to design and develop comprehensive and agile software solutions. 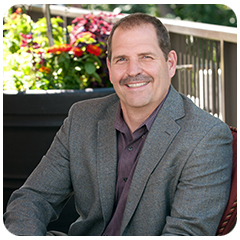 Jim holds a Bachelor of Science Degree in Engineering Mathematics from the Colorado School of Mines. 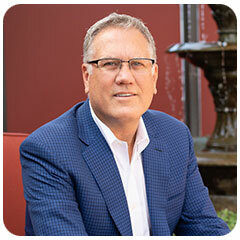 Brent has over 20 years’ experience in progressive accounting and corporate financial management. As Chief Financial Officer, Brent is responsible for all finance and accounting functions for Insurance Technologies, including driving financial performance and overseeing financial reporting, planning and compliance. Brent provides strategic financial leadership and is a key contributor to the profitable execution of the Company’s short and long-term financial goals. 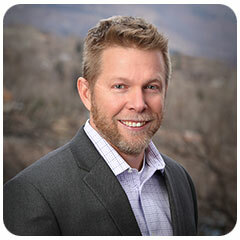 Prior to joining Insurance Technologies in 2006, Brent spent 11 years with a large national CPA and advisory firm. In his role as audit manager, Brent was responsible for the management, review and supervision of all of his client’s assurance and consulting services for numerous types of organizations, with primary industry experience in the areas of software development, manufacturing, distribution, and construction. Brent graduated from the University of Arkansas with two Bachelor’s Degrees; one in Finance & Banking and another in Accounting. Brent is a licensed CPA in the State of Colorado, as well as a member of the American Institute of Certified Public Accountants (AICPA). Doug holds over 26 years of business development, marketing and sales management experience in the insurance technology sector of the insurance and financial services industries. As Executive Vice President, Sales and Relationship Management, Doug defines, manages and directs the overall sales objectives and processes and client relationship management for Insurance Technologies. He is responsible for leading the Sales and Relationship Management teams to secure new business, expand existing opportunities and ensure clients are receiving the best support and value from Insurance Technologies solutions and services. Doug works collaboratively with internal and external client teams to define requirements and deliverables to meet client implementation goals and company needs. Doug brings extensive knowledge around streamlining and automating the sales and marketing of insurance products that allows him to provide influential and consultative support to clients to achieve solution success. Doug is one of Insurance Technologies key liaisons with top industry organizations including ACORD, DTCC, and IRI. Prior to joining Insurance Technologies, Doug held senior level positions as VP of Insurance Automation Services, VP of Sales, VP Sales & Marketing and VP of Insurance Services within the insurance technology space. 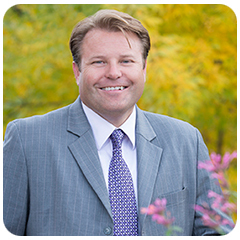 Doug is a graduate of Utah Valley University with a Bachelor of Science Degree in Business Administration—Marketing Management. Since joining Insurance Technologies in 2002, Kristin has held key roles and responsibilities where she gained deep domain and company knowledge that are essential to the success of communicating Insurance Technologies’ message. As Vice President of Marketing, Kristin is responsible for developing and maintaining marketing strategies that meet Insurance Technologies’ objectives. She formulates and drives all marketing plans and advertising activities including email, online and event marketing, as well as managing the overall Marketing department budget. Kristin works closely with the Executive Team and Product Management Team to maintain product enhancement and company communications to manage product and company visibility while ensuring a consistent marketing message. She is the primary liaison between Insurance Technologies and industry media, public relations, advertising, partners and industry organizations. 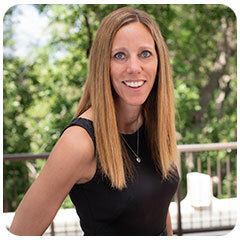 Kristin holds a Bachelor of Arts Degree in Business Marketing from Western State Colorado University. Tracy brings more than 30 years of experience in the life insurance and annuity industry and has expertise in the areas of project management, product functionality, business analysis, and design of illustration and financial software. As Executive Vice President, Professional Services, Tracy leads all professional services, which includes Actuarial, Engineering and Client Services teams. Tracy is responsible for overseeing client project and client relationship management to achieve efficiency and customer project success. Since joining Insurance Technologies, Tracy has been an influential member of the ForeSight® Client Services team and a key player in the success of many ForeSight implementations. In her former role as Senior Vice President of ForeSight, Product Management, Tracy was responsible for the strategic direction of the ForeSight illustration product, aligning the product with client needs and industry requirements. Tracy continues to be a company liaison with key industry organizations, keeping teams and clients informed on industry developments and regulatory influencers. Prior to joining Insurance Technologies, Tracy was a Senior Marketing Consultant for New York Life Brokerage where she was responsible for both system support and design for a number of different illustration systems and worked directly with producers providing advanced case design and marketing support. Tracy also worked for Security Life of Denver (ING) in Marketing Systems and Marketing. Her experience at Security Life included management of the team that provided case design support to a group of producers that specialize in the high net worth and COLI market as well as project management, system testing and producer support. Additionally, Tracy has earned her CLU and ChFC designations from the American College. As Senior Vice President, Strategic Relationship Manager, Mike provides consultative account support to meet clients’ strategic short term and long term goals with Insurance Technologies. As the relationship management interface between Insurance Technologies services teams and its customers, Mike works with clients to achieve customer goals and satisfaction, and to preserve strong client working relationships. Since joining Insurance Technologies, Mike has advanced his career in influential leadership roles including Team Lead, Project Manager, Product Manager, and VP of Client Services for the ForeSight® product. In his recent role as SVP of Client Services, Mike oversaw ForeSight client implementations and deliverables, and was responsible for overall project management and financial reporting. Prior to joining Insurance Technologies, Mike gained hands on distribution and industry experience selling various forms of insurance and investment vehicles while working as an Agent, Sales Manager, Broker, Independent Agent and Wholesaler for companies such as Prudential Insurance and CNA Insurance. With over 28 years of overall industry experience, Mike provides Insurance Technologies and its clients unique financial and technology domain expertise. Mike holds a Bachelor’s Degree in Mathematics with a Computer Science Option from Fort Lewis College. Since joining Insurance Technologies in 1998, Del has played pivotal roles in client implementations and has been instrumental in the design of Insurance Technologies’ products. Most recently, as leader of the FireLight® Client Services team, Del was responsible for driving successful client implementations during a time of unprecedented platform growth. As SVP, Strategic Relationship Management, Del provides consultative account support to clients to assist them in receiving maximum value from their technology investment with Insurance Technologies. As a company liaison, Del works collaboratively with Sales, Client Services and Product Development teams to assist clients with short-term goals and long-term growth strategies to achieve client success. Del brings 30 years of industry experience in personal production, sales training and support, business analysis and design, and sales tool development. Prior to joining Insurance Technologies, Del was a Senior Business Analyst at Insurance Sales Illustration Systems, an insurance software provider. Early in his career, Del worked at New York Life as an Agent, Registered Representative, and a Training Supervisor. Del holds degrees in Economics and Business Administration from Augustana University. Sue brings over 16 years of life insurance account management, sales support and operations expertise to her role as Senior Vice President, Strategic Relationship Management. Sue works closely with clients to gain understanding of their short-term and long-term business strategies and priorities to support client success with the implementation, delivery and service of Insurance Technologies products. As SVP, Strategic Relationship Management, Sue develops, retains and expands long-term, trust-based relationships and partnerships with our clients by providing consultative support. As the client’s key point contact for Insurance Technologies, Sue partners with internal team members to assist clients in the planning and execution of their business goals. Before joining the Insurance Technologies team, Sue excelled her career at MetLife Insurance Company, USA, and its predecessor, The Travelers Life Insurance Company, where she gained deep domain operation, product and technology expertise through various influential roles. For the former 10 plus years, Sue held the role as Vice President, Account Management where she created and supported key MetLife account relationships with national brokerage firms. Sue holds accomplished service, operations, leadership, relationship and industry expertise that provide her distinctive knowledge to support clients in achieving their project and business strategic goals. Sue holds FINRA Series 6, 63 and 26 designations. Allison holds over 16 years of annuity industry experience extending in areas of operations, product, distribution, relationship and partner management and technology. As Senior Vice President, Strategic Relationship Management, Allison is a strategic account liaison between Insurance Technologies teams and key account executives within our carrier and distributor clients. Providing holistic account support, Allison collaborates and supports clients in meeting their unique implementation to achieve their short-term and long-term strategic initiatives, while gaining the maximum value from their technology, services and relationship investment with Insurance Technologies. Prior to joining the Insurance Technologies team, Allison advanced her career and gained key industry and carrier operations experience through various roles at Voya Financial, including 11 years in firm relationship management. Allison’s most recent position was the Director of Automation and Data Management at Voya Financial where her teams were responsible for the implementation and management of several e-Application platforms, data feeds and New Business workflow management for innovative digital automation, along with a company-wide initiative to enhance advisor and customer experience while improving internal efficiencies. Allison holds a Bachelor of Arts Degree in English with a minor in Communications from Central College, a private liberal arts college in Pella, Iowa. Kevin provides more than 28 years of software development and architecture design experience to Insurance Technologies. As Senior Vice President, Engineering Services, Kevin is head of product delivery, which includes managing the engineering departments and overseeing the delivery lifecycle of our product offerings. Prior to his current role, Kevin was Senior Vice President, Product Development, where he led new product and tools development, configuration management, licensing, and architecture design for the ForeSight® sales illustration product. Since joining Insurance Technologies, Kevin has been an instrumental team member in the engineering and development of ForeSight. Before joining Insurance Technologies, Kevin was Sr. Software Engineer at Insurance Sales Illustration Systems, Inc., an insurance sales illustration vendor focused on advanced sales concepts for life, annuity, DI, and LTC markets. Kevin’s key responsibilities as Sr. Software Engineer were the creation of new products and the production of compliant reports/forms architecture. Kevin holds a Bachelor of Arts Degree in Computer Science from Southern Illinois University and has completed course work provided by The American College for financial studies. With more than 30 years of experience in the financial services industry, Bill provides Insurance Technologies with solid actuarial expertise of life and annuity products. As Senior Vice President of Actuarial Services, his responsibilities include calculation integrity, inforce ledgers and advanced financial planning concepts, as well as being involved in client facing projects. Before joining Insurance Technologies, Bill worked for two years as an independent contractor and was heavily involved with illustration software calculation development. Prior to his actuarial consulting tenure, Bill worked at Sagicor Life Insurance Company for four years as SVP and Chief Actuary and before that he spent ten years in the AEGON organization as VP and Managing Actuary. As well as being a Fellow of the Society of Actuaries since 1990 and a Member of the American Academy of Actuaries since 1989, Bill is an active member of the Society of Actuaries Taxation Group and the American Academy of Actuaries Tax Work Group. Bill graduated with honors from the University of California at Los Angeles with a Bachelor of Arts Degree and holds advanced financial planning and financial analyst designations including CFA, ChFC, and CLU.